Jamie has been the First Year Academic Skills Librarian at Sheridan College since 2014. 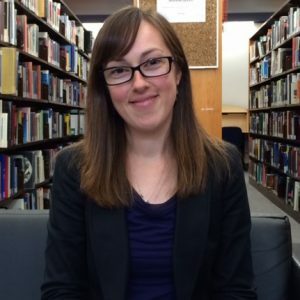 Prior to this role, she worked as a liaison librarian at Western University after graduating from the MLIS program at Western in 2011. Her work includes supporting first year students and faculty who teach first year courses in the areas of research, citation, academic integrity and other academic skills.